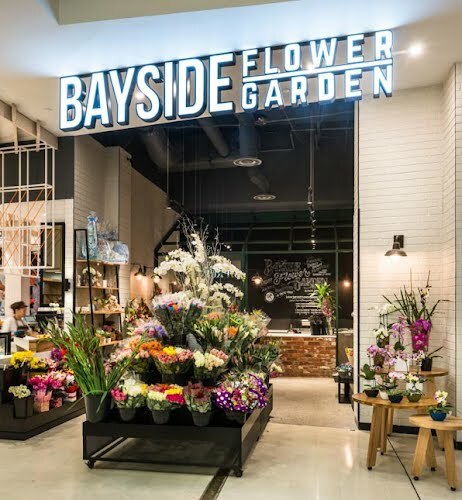 As part of Eastland’s stage five renovations Moth was engaged to design a new store for a florist who was relocating from an existing kiosk. 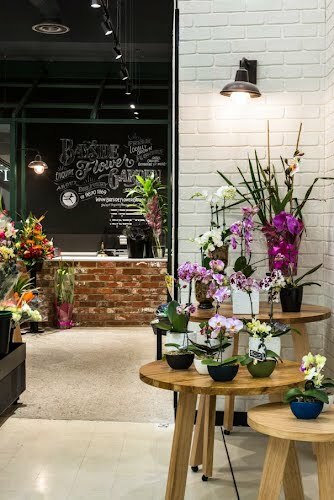 Retail presence is established by a large partial greenhouse frame and vintage wall lights. 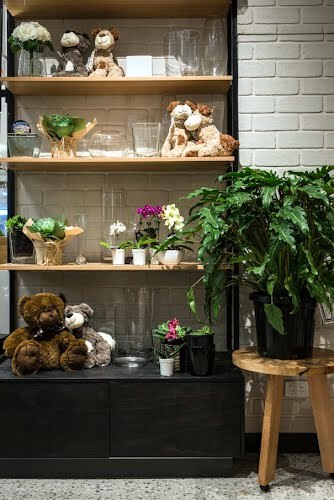 The greenhouse is grounded by recycled bricks that form the point of sale and a pair of windows neatly screen off the back of house area. 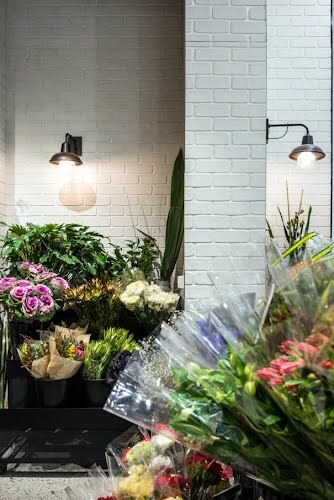 Black perforated steel tiered trolleys ensure fresh cut flowers take centre stage while various high shelving around the walls offer maximum flexibility for display. 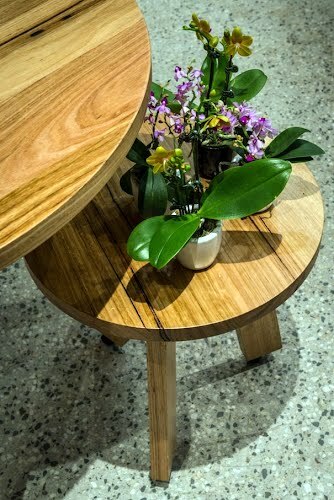 Warm vic ash nesting tables soften the space along with the delicately coloured honed concrete floor with exposed aggregate. 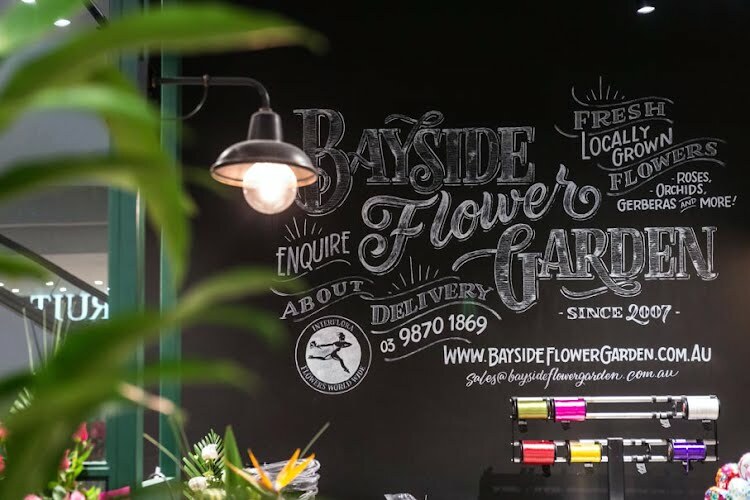 Viewed through the greenhouse opening a large bespoke chalkboard signage completes the design.